South Florida Metal Roofing Conference: The Key Takeaway! Register For The Metal Roofing Conference Today! Some Photos from the South Florida Metal Roofing Conference! New to Metal Roofing Installation? You Don’t Want to Miss This! Our First Edition Print Newsletter. All For You! 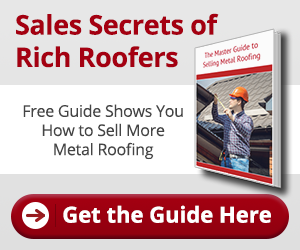 Let the Metal Roofing Pros Lend a Hand! Diverse and Eager to Help: It’s What We ARE! Finally… Learn What the Slope of a Roof Is! Introducing the Free Metal Master Shop App! Pitch Perfect or A Little Pitchy? The Most Exciting Roof Paneling Video Ever! Come See Us At the Miami Home Show 2014! You Make What with Scrap Metal?! Are Coatings Important for Your Metal Roof? Do metal roofs affect cell phone reception? Do You Have A Cool Roof Like This? Are Your Roofing Products Miami-Dade Approved? Berridge, The Best Metal Roofing in Miami. Period. Which Roof Would You Choose?